Most, if not all of you at some point have received your fair share of spam, and i don’t mean the meat. 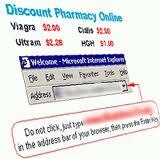 Now spam comes in multiple formats and delivery methods. You’ve got your get cheap drugs spam, dietary supplement spam, pornographic spam, the “enlarge/increase ….” spam. Something for everyone. 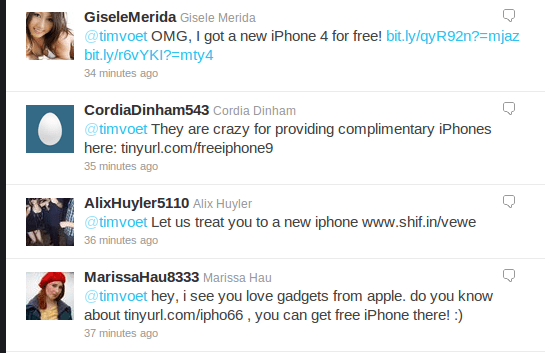 With the popularity of social media, spammers have just multiplied their medium. I normally completely ignore it, but this past week, i happen to reply to a friend over twitter regarding IPhone and Google + topic. I happened to mention the word IPhone in my tweet, and within seconds my name started popping up in mentions about winning free iphones, get a free iphone, etc. The other kind of spam that has been hitting me lately is WordPress comment spam. I receive on average 5 to 6 spam comments a day. I have it setup to auto-moderate the comments, and hold them in a queue before publishing. Its a minor inconvenience, but still. I understand that spammers are playing the numbers ( 1 percent of 1 percent of spam is actually clicked on, so the more they send out, the better their chances. On that topic, anyone have a good comment filtering solution for wordpress?